Walking into Crux Climbing Center, I was instantly in awe of the sprawling climbing and bouldering playground. After being greeted by the cutest and sweetest four-legged furry friend, I knew this was my type of place. After exclaiming, “You take dogs? Amazing!” my next question was, “Do you take kids, too?” Turns out, Crux Climbing Center isn’t just tolerant of young children, but encourage their participation! The center hosts youth recreation and competitive programs, family nights, parent nights out, summer camps, and birthday parties. The ingeniously designed Panda-Monium room is stacked with features that introduce early climbing skills and agility, equipped with climbing walls and a slide. One glance around and you suddenly feel like you’re stepping into some version of a climber’s utopian metroplex. Kevin Goradia, CEO and founder of Crux Climbing Center, is quick to explain his team is “very intentional about referring to Crux as a center, not a gym. 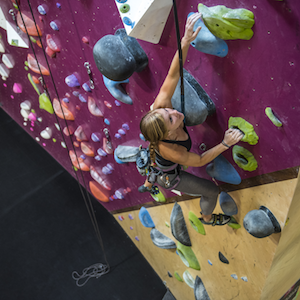 Our space is an approachable, community-driven fitness hub where Austinites can discover a passion for climbing, while connecting with members of the community. So I found a climbing center that’s dog- and kid-friendly—SCORE! But there’s more. 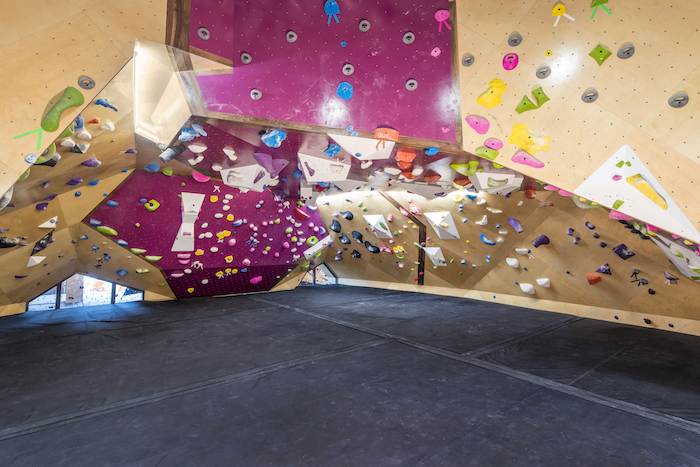 Crux Climbing Center offers every type of fitness class I could fathom: HIIT, cardio, strength, yoga, and even a 24/7 access bouldering and workout area for members. 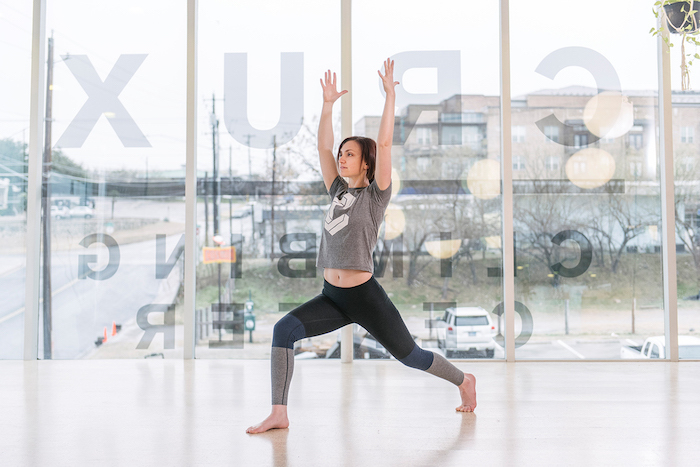 Walking into the yoga studio, I was entranced by glittering light pouring through a wall of windows overlooking Homestead Plaza. As I deeply inhaled aromas of perfectly balanced cinnamon spice and vanilla, my five senses begged me to stay awhile. Once upon a time, I climbed mountains and walls. But after leaving my Colorado climbing community six years ago to return home to Austin, I never found my footing back into the community here. After all, learning to climb in Colorado, where your backyard is an outdoor playground, is different from the less textured ATX. But taking in the peripheral of angles, crannies, and height, the Crux bouldering and climbing walls sparked a nostalgic familiarity to my outdoor climbs at Shelf Rock. Thirty-foot-high walls, featuring 27 anchors, can be utilized for lead anchors, top-rope, or auto-belay. With a setter’s ability to not only adjust routes, but also wall slopes of the Future Wall, I could barely digest the full potential this innovative feature offers for competitions and skill growth. Whether you’re an expert, amateur, or simply a spectator, the competitions at Crux are filled with music, excitement, and even complimentary libations. Community Days are also a method to make climbing accessible to the wider Austin community. 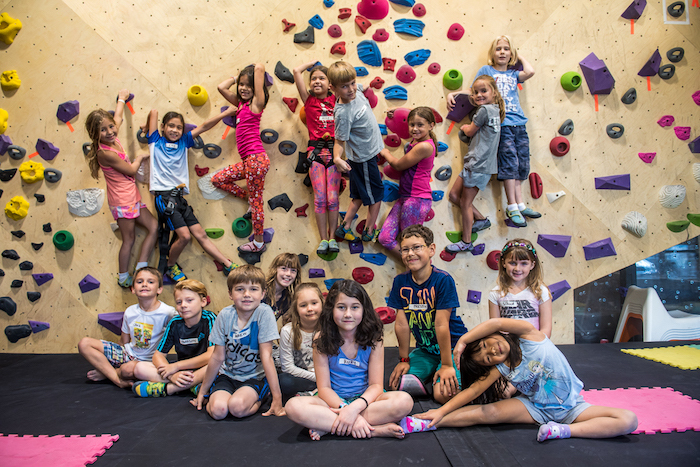 “We love being located in such a vibrant part of Austin,” said Grace Nicholas, CMO, COO, and co-owner of Crux Climbing Center. “Crux is situated in an area where members are able to come in for a climb, grab lunch next door, and then come back to get a little work done or even take a yoga class. It’s been two years since founders Goradia and Matt Twyman partnered with East Austin architecture firm Derrington Building Studio to create this incredibly unique space. Now Goradia and his team are planning to expand the 22,000-square-foot facility in south Austin. This expansion keys in on nothing other than member happiness. Crux took in member suggestions on how to make Crux Climbing Center the best version of itself. The expansion will encapsulates those suggestions, with 6,000 additional square feet of programming! 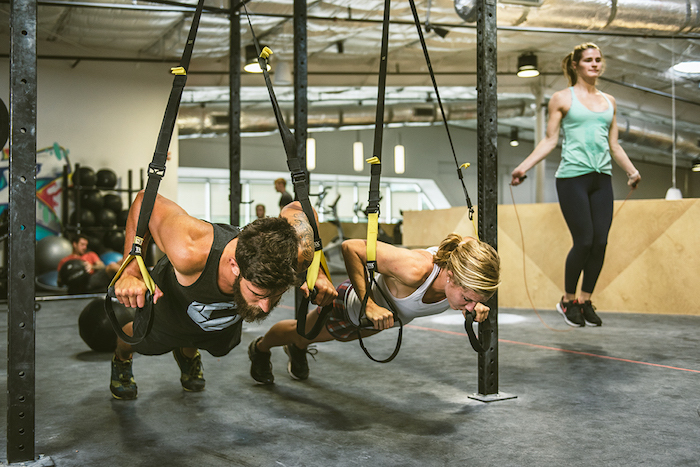 Crux is tapping into the historic Beverage Barn space off Pickle Road to introduce a mobile obstacle course with prospective partner Mylo’s Fitness. The prospective new digs will provide a fully-stacked workout facility, saunas, and an actual backyard for adults and kids to play. If everything moves forward as planned, the construction of the new facility will be led by Austin real estate developer Peter Barlin. The Crux team hopes to preserve the structural essence of the Austin barnyard treasure by including bottle service at the facility. But what has me secretly squealing with joy (just between you and me…shhh!) is another set of plans in the making. Poor north Austinites often miss out on all the cool vibes hitting South Austin. But rumor has it, plans are set for an additional location of Crux Climbing Center in north Austin. I am literally counting the days! Check out all the details on this community-driven climbing lifestyle at Crux Climbing Center online. Are you most excited about the climbing, the expansion, or that Crux Climbing Center is dog-friendly?